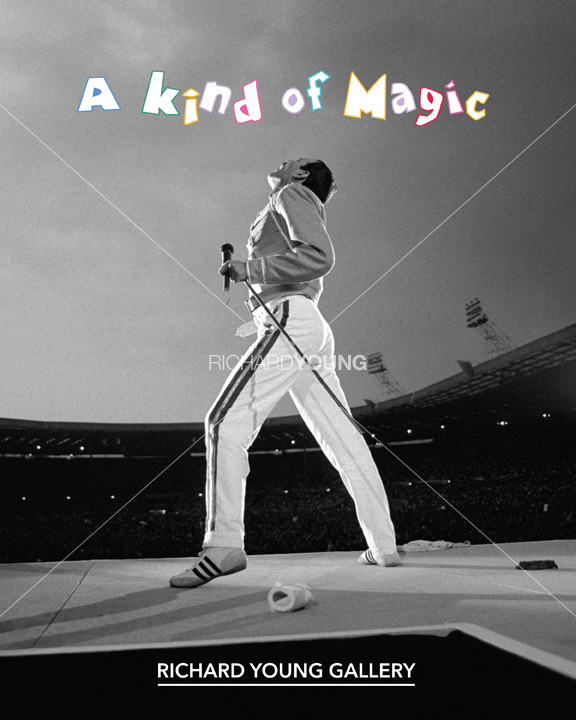 A3 (42cm x 29.7cm) poster for the A Kind of Magic: A Celebration of Freddie Mercury's 70th Birthday exhibition at Richard Young Gallery, featuring a photograph of Freddie Mercury onstage taken by Richard Young at Wembley in 1986. Signed by Richard Young. © Copyright Richard Young Photographic Limited.